Over the past few years, sitcoms have enjoyed a nice resurgence on television. Today, most sitcoms have abandoned the canned laughter. That has worked well. As a result, we have a series of great sitcoms to choose from. My personal favorite is 'The Office.' I watch new episodes and reruns on my satellite TV from www.bestchoicetv.com whenever I get a chance. 'The Office' is a show about a small group of workers in Scranton, Pennsylvania. 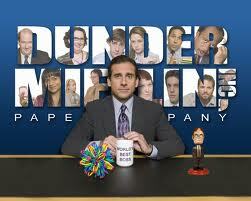 The group is led by Michael Scott, a well meaning but often over the top boss. Michael gets the crew in to a lot of uncomfortable situations. Another great character is Dwight. Dwight is a paper salesman with a very bizarre personality. He delivers some of the best lines on the show. The rest of the cast is all solid. Each character offers something different. 'The Office' has some great storylines. They deal with regular corporate issues such as downsizing and office politics and a funny way. The best episodes involve Michael trying to teach the rest of the office how to behave. Given that Michael doesn't have the best social skills, this often results in some funny moments. 'The Office' has been on since 2005. The show is told in a documentary style format, where we see characters often talking to the camera. This has kept the show fresh throughout its run. Now that the show appears in reruns on other networks, catching an episode of 'The Office' is fairly easy. I love The Office as well. It was sad to see Michael Scott go this year and it's going to be interesting to see in which direction the show is going to take. I can't wait to find out who will be the new boss!! !